End Worry, Reduce Doubt and Gain Confidence By Working With an Expert who Knows What Happens in Care and Caregiving Situations. Pamela has been trusted by caregivers and aging adults for more than 20 years to solve and manage caregiving problems. 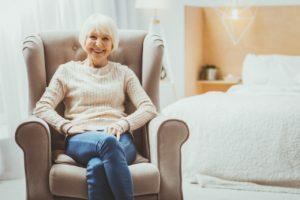 Her experience results in solutions to common and complex problems; she understands what you’re going through as an aging adult and as a caregiver. Help and support are here. Better caregiving support delivers better than average care. Pamela understands the stress, worry, and anxiety resulting from the changes related to needing care or becoming a caregiver. Aging adults want to remain independent. No one wants to be a burden to their family. Some adults have no family and must plan for their own care. Caregivers quickly become overwhelmed by caregiving responsibilities and struggle to maintain balance in their lives. Pamela provides support and offers her expertise to all involved in caregiving. Since 1999, Pamela has worked in the caregiving and aging fields serving aging adults and caregivers. Her expertise as a care manager and serving in the positions of a court-appointed guardian, medical power of attorney, financial power of attorney, personal representative, and a trustee is rare. 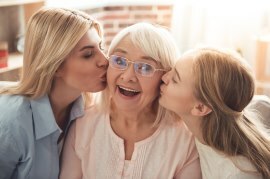 Her professional experience combined with personal losses of a sister, both parents and a brother uniquely ensures that Pamela understands the concerns, daily experiences, and challenges of aging adults and caregivers. If you’re looking for solutions and want to work with someone who understands, Pamela’s expertise will help you gain the confidence you need. Information, caregiving programs, and support are here. Caregivers and aging adults struggle to work with a complicated healthcare system. A lack of understanding exists about health diagnosis and the long term implications of chronic diseases like high blood pressure, heart disease, and diabetes that lead to other conditions like dementia and Alzheimer’s. Pamela recognizes the struggles of working with the healthcare system because of the personal experience of being a caregiver for her mother and being responsible for the care of clients over the past 20 years. Education and support are lacking about what it takes to remain independent as we age. By the time health concerns exist, looking for solutions to health problems can lead to a feeling of hopelessness and helplessness. Caregivers watch the health of loved ones decline and are unsure about what to do. Aging adults become worried and fear becoming more dependent on family members when health declines occur. By identifying issues early and taking action, care can improve for aging adults and caregivers can learn from their experiences caregiving for loved ones. Pamela works with aging adults and caregivers to create action care plans to identify and manage daily care concerns so that the goal of remaining at home (versus moving to a care community or nursing home) can be achieved. By being proactive and participating in physical activity, mental activities, and social interactions, aging adults can experience positive aging. Part of the desire to not be a burden to loved ones and to remain independent is participating equally in care receiving and caregiving. Needing care is not a “wait on me” activity. Caregiving is not an “I’ll do everything and you do nothing” activity. Conversations about care needs and participation are the solution to aging adults not feeling guilty about needing and to caregivers not feeling stressed, overwhelmed, and burned out. Caregiving is a family issue that should be discussed early and ongoing in all families rather than waiting until an emergency happens. Helping caregivers and aging adults to be more informed about “what happens in caregiving situations” is a significant benefit that Pamela offers through her programs. Balance is caregiving is not easily achieved when the care needs of spouses, aging parents, and loved ones continue to increase. A diagnosis of Alzheimer’s or dementia complicates care and results is greater stress. Pamela helps caregivers and aging adults have honest conversations about the effects of caregiving on family relationships. Pamela offers tested and proven solutions that support positive family relationships, improved caregiving skills, increased confidence, and that reduce stress and anxiety. Caregiving and aging have their own surprises. Health declines that start as minor incidents that blow up overnight and become major issues that affect the ability to function on a daily basis. Family disagreements about who will be the caregiver. Working with a healthcare system that seems not to care. Not knowing the right questions to ask, making the wrong decisions because of bad advice, medical errors — the list of what caregivers and aging adults didn’t expect and don’t know is lengthy. The care and healthcare systems lack sensitivity to the daily issues and emotional stress experienced by family caregivers and aging adults. Hospitals refuse to admit Medicare patients to avoid financial penalties or attempt to dump patients with little notice to families. More shocking to families is that Medicare does not pay for all types of care. Costs of care are unaffordable without a plan and will continue to skyrocket annually with 3-6% increases. 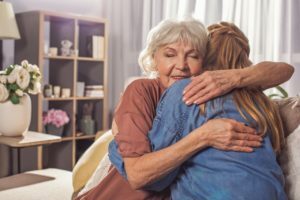 Lack of early family caregiving conversations (why not wait for a crisis?) results in disasters for family situations involving spouses, adult children, and aging parents. The “let’s talk about it later,” or “I don’t need any help” delay tactic results in drastic care choices and limited options. Unexpected situations occur. Caregiving can be exhausting even when you love your parents. Caregivers lack credible experts to support problem-solving and decision making. Providing caregivers with a list of resources, a book, a pat on the back, and “good luck” is the usual response from social service and referral experts who have no direct practical experience. Book smarts fail caregiving situations. Nursing home care, unless one has an advocate, is a situation of last resort. How many nursing homes have you visited where residents are sitting in wheelchairs bent over asleep lined up by the nurses’ station? How many hallways smell of urine? If Alzheimer’s is the diagnosis, the majority of nursing home staff are untrained in the skills needed to compassionately care for aging adults with memory loss. Aging adults want to remain at home and out of nursing homes but many aren’t sure how to make that happen. Early signs that a loved one may need care are important to notice. Care and retirement communities are a blessing or a nightmare depending on leadership. Unreported falls, injuries, medications not given or given incorrectly, skin wounds, refusing to get out of bed to come to a meal, or sitting in urine or feces for hours are frequent occurrences for aging adults who need more than a hello or a quick check-in. Family members must show up or find someone to help with visits to make certain loved ones are receiving care. Staff may be supportive or judgmental of resident and family relationships. There is a long list of things that care communities don’t tell families that you should know. Professional caregivers experience poor treatment by management. Physicians lack bedside manner and are condescending not only to staff but to family members. Turnover rates of 50% are normal in care communities and care agencies. Many professional caregivers are burned out family caregivers struggling to make ends meet on low wages and absent benefits. Many of these caregivers have hearts of gold and love their jobs. More support and training is needed so the caregivers who are compassionate remain and advance within the industry. In-home care, an option to delaying a move to a retirement or care community has similar issues. Turnover is high. Care staff comes and go. Training is minimal. Caregivers lack experience and professional boundaries. Successful situations occur when a family creates care plans, manages the caregivers, and establishes quality check-in points. Family caregivers lack the experience and time to manage care situations. Care of parents and aging family members are at the mercy of a care system that is rushed, too busy to care, and constrained by policies. Learning to manage in-home caregivers to get the result you want is necessary. Click here to read Pamela’s article about 10 tips to managing in-home caregivers. Many aspects of “I Wish Someone Told Me” are beyond the obvious and lie in the small details of information, interactions, and care. By taking a step to become more informed, to learn to advocate and manage care, the stress, feelings of overwhelm, anxiety, and responding to the unexpected will feel more manageable. Caregivers and aging adults will feel more confident in decision making and problem-solving. Worries about making a mistake will lessen. Time will become more manageable. Family crises will become a past issue. You may be thinking, “I can’t add one more thing to my schedule. I have no time.” Do you then have time to respond to more crises, more emergencies, greater health declines, not feeling well, increased anxiety and stress, worsened relationships with your family, and sleepless nights?” Making the time and putting for the effort to become more knowledgeable more confident is the solution. Family battles and struggles exist when caregiving becomes a need. One family member usually steps up to bear the majority of the responsibility. Other family members watch from the sidelines and hold their breath, being thankful that they’re not having to invest time and effort to care for loved ones. Others family members are great at offering to advise but don’t lift a finger to help. Family members judge other family members for decisions and actions. Aging parents can be difficult. Not feeling well can result in behaviors and being impatient with the caregiver. 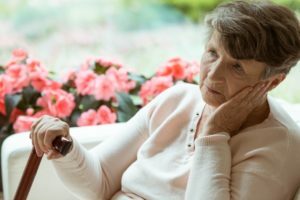 Until caregivers are in the situation of an aging parent it is very difficult to be empathetic with the health and memory declines that are associated with aging. Pamela’s experience helps caregivers and aging adults gain a better perspective on how each feels and is affected by caregiving and needing care. There is no room for judgment in caregiving. Each situation is different and has its own complications and challenges. The health and well being of caregivers declines and the decline continues for years after caregiving ends. Caregiving has significant negative consequences on health when caregivers become burned out. Caregiving support and programs balance the emotional and physical distress of caregiving. If you are feeling burned out and overwhelmed the time to get help is today. Pamela’s online programs that support caregivers and aging adults are a solution to worry, not wanting to be a burden to loved ones, learning to manage care, and having a better quality of life. Her experience helps caregivers stand up to care systems that lack empathy and compassion. Over twenty years of practical 1:1 experience provides value to care situations that feel impossible, overwhelming or hopeless. Insight and experience about “what Pamela knows will happen or what is likely to happen” is valuable to avoid pitfalls and unnecessary situations. It is common for caregivers and aging adults to feel guilty, angry, frustrated, or emotionally exhausted by care situations. Being a caregiver negatively effects personal health, home, and employment. Women caregivers are the most affected by caregiving stress; women work, caregive for children, and caregive for aging parents. 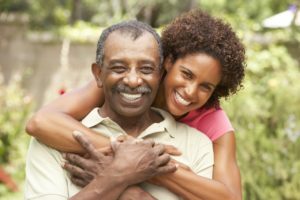 Family caregivers will continue to assume increasing responsibility for loved ones with chronic disease and the memory loss diagnoses of dementia and Alzheimer’s disease. Aging adults feel stressed by needing care. Worry exists about continued health declines that will result in the need for more care. Feelings of guilt and being a burden to the family are common. Aging adults who are “solo agers” have to be even more proactive about planning for care because family is not readily available to caregive. The role of caregiver and aging are uncharted territories. One day you are living your life. The next day you are a caregiver. One day you are living your life. The next day you need extensive care and help and are reliant on others for support that may be significant. The unintended consequences of the role of caregiving are significant. Caregiving results in health declines and emotional trauma and distress. For caregivers who opt out of the workforce to care for aging parents, financial income and savings are negatively affected. Lost income and retirement savings cannot be replaced. 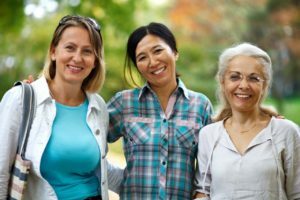 While many caregivers would not choose a different role, it is important to initiate conversations and to consider the long-term effects of present-day choices. Early and ongoing caregiving discussions can improve family relationships and care. By participating in programs, live support groups, and finding information in Pamela’s library specific to your needs, your caregiving and needing care life can improve. The key is to act, because until you act, your needing care or caregiving situation will not change. Click HERE to request additional information about programs, consulting, caregiver support, or to inquire about speaking. This library is an extraordinary resource for caregivers, aging adults, and care receivers. By signing up you receive access to advanced articles, information, and solutions based on Pamela’s 20+ years of experience as a caregiving expert. 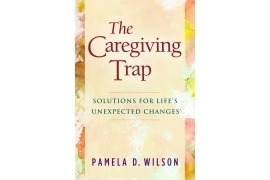 Pamela’s book supports conversations of care that emphasize choice, planning, and creating balance in family caregiving relationships. She shares expertise from 20+ years working in caregiving and aging. Welcome to The Caring Generation®, Pamela’s online community of programs, support groups, and courses for caregivers, aging adults, care receivers, and professional caregivers. Persons in caregiving situations may feel isolated and alone in the journey; if you identify with any of the statements below, feeling that there are days when you’re “tired of being a caregiver” or a care receiver you’re in exactly the right place to find support and guidance. Pamela’s newsletter features timely and interesting subjects for caregivers, aging adults, and care receivers. Sign up today, it’s FREE!. Pamela’s online programs and caregiving support groups reduce worry and stress and help you gain confidence by working with someone who knows what happens in care and caregiving situations. Don’t delay. Take the next step to reducing the emotional and physical stress related to caregiving and care receiving. When life changes and you need care or you become a caregiver you want to be confident that you are making the right decisions and the right choices. Click to learn more about Pamela’s program to help you be in control of your life and your decisions. Family relationships can be challenging and care needs overwhelming when you are a caregiver for aging parents or other family members. Watch Pamela’s videos about family caregiving relationships. Get your questions answered. Join Pamela each month for a live support group where you can ask questions about your caregiving situation. It’s FREE. Registration is required so that you can receive an email with a link to the group. Sign up today for the next group. Look around Paemal’s website and learn more about The Caring Generation and Pamela D. Wilson, Caregiving Expert, Advocate, and Speaker. Can’t find what you are looking for? Please contact us and let us know.